The Senior Accounting Resume Template is a handy form which can be utilized whenever a job seeker needs to save time when creating a resume. 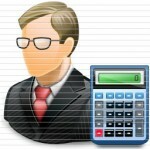 Senior accountants are the number one go-to people when it comes to a company’s finances. They will be expected to have excellent skills in analysis, problem solving, and mathematics. Senior accountants will need to be able to fully understand and retain the numbers involved in their company’s finances as well as many of the procedures of day-to-day operations for that company. Potential employers will need to see a significant amount of information from an applicant before considering granting an interview. Needless to say, this information must be presented professionally, attractively, and accurately. 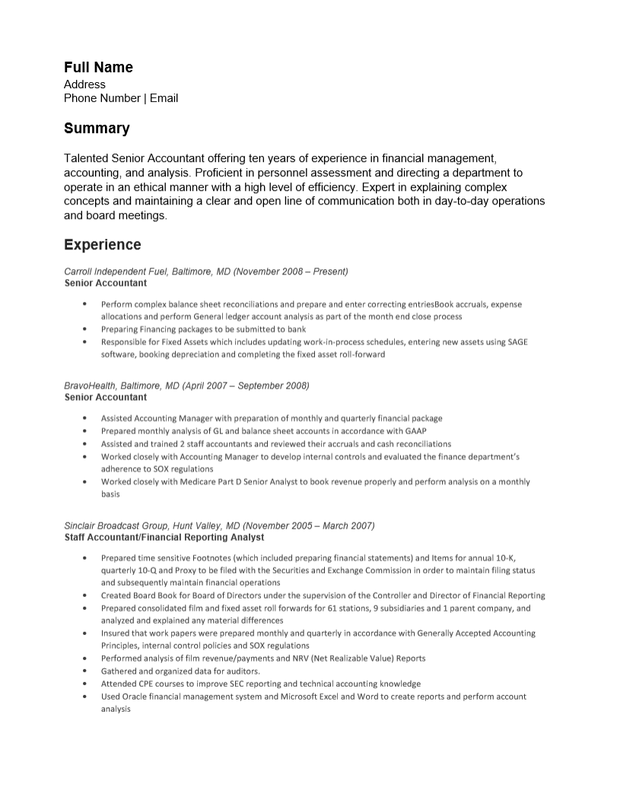 Such a task may be achieved through the level of organization one gains when utilizing a resume template or form such as this. Step 2. Compose two to three statements meant to give a clear image of your professional identity. This should be a professional summary of why your experience and skills set you apart from the rest. Place this in the “Summary” section. Step 3. The “Experience” section will be where you report your professional history. It is often considered the core of a senior accountant resume since the applicant will need to show his or her employment history. This list should be comprehensively written with the goal of showing precisely how one has spent their professional career. Each entry should begin with the name and location of an employer and the time period one was employed there. The next line will be for the official title the applicant held in that position. This must be followed with a bullet list of one’s duties, responsibilities, achievements, and/or any actions which gained the candidate notoriety within that company. This entire list should be organized in reverse chronological order. Step 4. The “Education” section is reserved for your academic credentials. Give the name of the schools you have graduated from along with the official title of the degree you earned.